Great tips! Especially the snagging food for lunchtime snacks!! We've yet to go on a cruise but we're always keeping our eyes open for one!! We'll be packing those bottles of wine and grabbing some baggies for lunch-prep when we do go!! 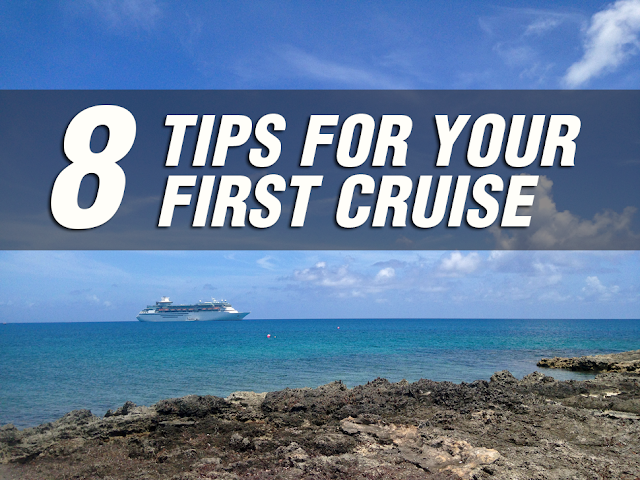 Great tips for noobie cruisers. I had no idea about the room service being free. Will keep that in mind if we ever take a cruise. Great tips for a cruise ship holiday...I went on a trip a few years ago & was reluctant but had the best time sailing the high seas! I've only been on one cruise but it wasn't a tropical destination. On my next cruise, I will definitely bring my snorkle gear and inflatable rafts! I'm looking at a 14 day cruise around the Mediterranean. I hope it works out! Great tips! I haven't ever been on a cruise. I am just so scared to think about being stuck in one place. My husband keeps trying to convince me that it's HUGE and i will have fun exploring. Although seeing that photo of that pool with ALL of those people in it makes me a bit reluctant! Point 7...do the research on ports of call. Absolutely. We lived for a few months in Cozumel (a big cruise ship destination) and felt sorry for those who did not plan ahead or spent much more than they should have. We highly recommend striking out on one's own.